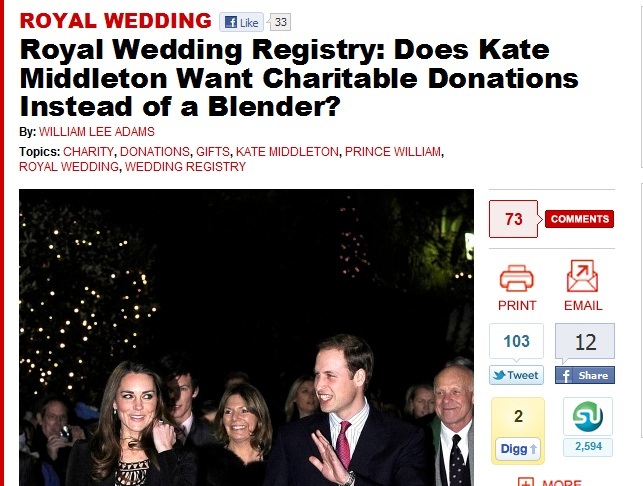 In his article entitled, “Does Kate Middleton Want Charitable Donations Instead of a Blender” TIME Magazine’s William Lee Adams speculates about whether the royal couple will say ‘I do’ or ‘I don’t’ to charity donations for their wedding registry. Is there any debate?! This, may be the shortest blog post ever as although never one to tell another couple what to do (ahem… and I probably should not start with the future King and Queen!) as all weddings are so personal… I do feel in this instance that there is only one answer to that question… and I hope it’s yes! Really… would the latest steamer from John Lewis do it? How about those fluffy Egyptian cotton towels? A new salt and pepper set? One would wager that one would already have a hook up of this kind already. Wouldn’t one? Even for ‘commoner’ couples who have been together for any length of time – too many traditional presents for the home are likely to create clutter and chaos instead of celebration – hence the move in popularity towards monetary gifts (a debate for another time). 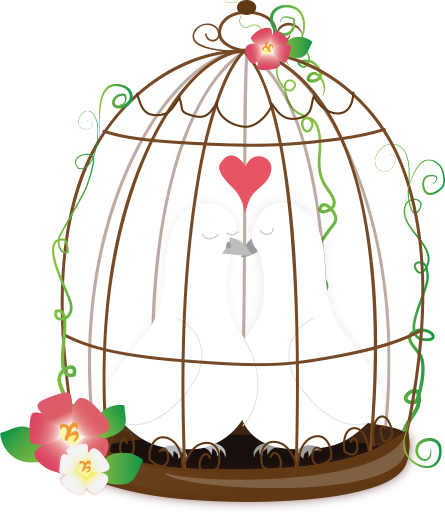 Which brings us to the happy couple. While I cannot proclaim to have been invited to their North Wales home – I am prepared to wager that traditional items won’t be gifts that will float this royal couples boat, so Kate, if you’re reading this, I have a suggestion for your consideration. From the guests from far flong exotic places – perhaps don’t stop their desire to contribute a bespoke token from their countries. Trying to curb any insistence about that could result in more orgaisational stress – not needed! It’s all about picking your battles as a bride. Beyond that… I am sure one of the 20 charities Prince William is a patron for will appreciate any Registry charity donations love that can go their way. To each their own, but I know in my planning so far, I have perceived anything that seems like a no brainer as a gift… as it removes the challenge of too much choice. It seems like this matter of a royal registry may be Ms Middleton’s equivalent of a forgone conclusion. Now that in itself is a gift!